The Yoga Ogre is a funny story about an ogre that decides to take up a new sport. The problem is that he’s an ogre so it’s all a bit hazardous! Will he find a sport that suits him? 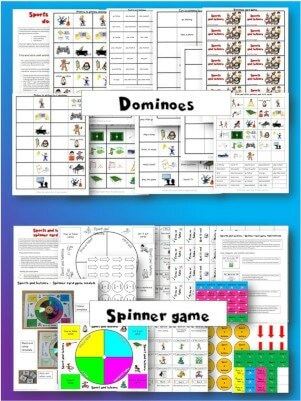 This story is perfect for learning sports and leisure activities. 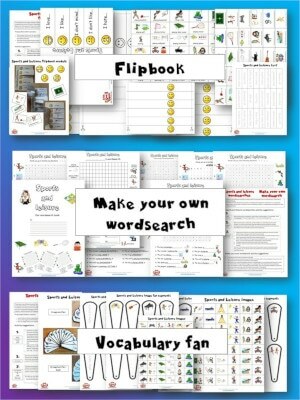 It’s also a good story for focusing on present simple and/or present continuous. 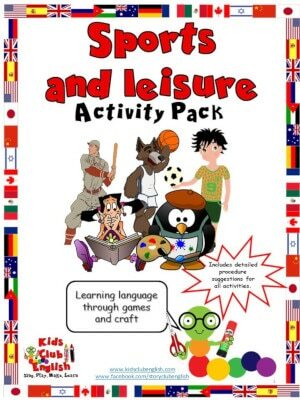 This pack is focused on sports and leisure vocabulary and it also gives children the opportunity to learn about different sport and leisure activities, consider their interests, make choices and explore their emotions. 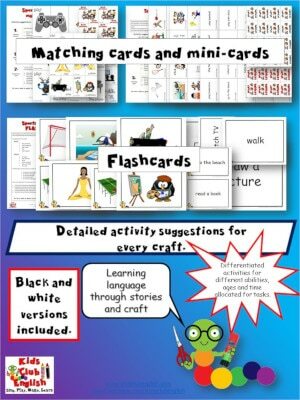 Perfect for supporting children with active and healthy lifestyles! Fun Action-Verbs Song for Kids: What Can You Do?